This is the life! Enjoy unobstructed lake views from the living room, dining room, master bedroom and lakeside balcony! Immaculately maintained large two bedroom, possible to make 3 bedroom unit. Main floor features freshly painted large living room/dining room combination, updated kitchen cabinets, new backslash and counter tops, 1/2 bath and separate laundry/utility room with new tank less water heater/boiler plus additional storage space. Master bedroom with views of Chautauqua Lake has double closets and vanity. 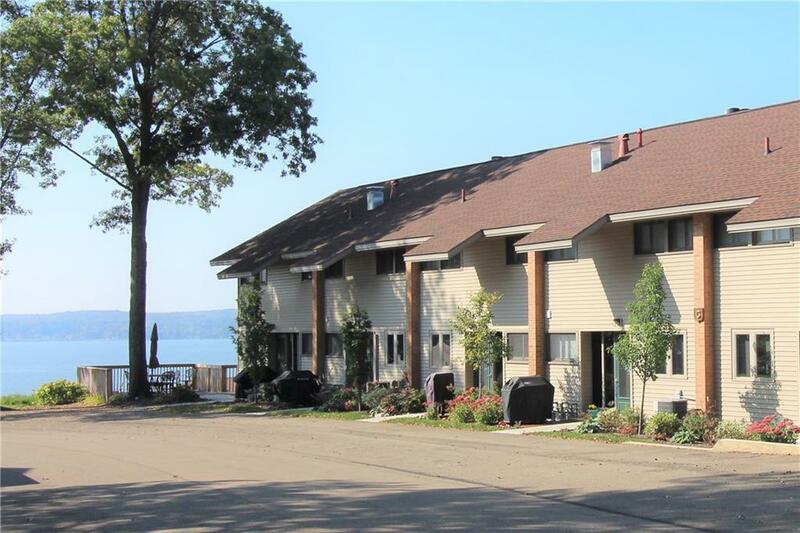 This fantastic Chautauqua Lake Estates condo comes fully furnished. Call to schedule your private showing today.